Acorns are an abundant, tasty and nutritious food source that not a lot of people think about while they’re in the woods. 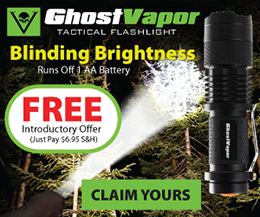 They make for a nice snack as well as a way to offset some nutritional deficits that are common in wilderness survival situations. Let’s take a look at a few practical and tasty ways that you can prepare them with minimal effort. The first step is to crack the shell and remove the meat from the acorns. You can do this with a pair of pliers in a manner that you would cut a walnut. However, this is time-consuming and labor-intensive. 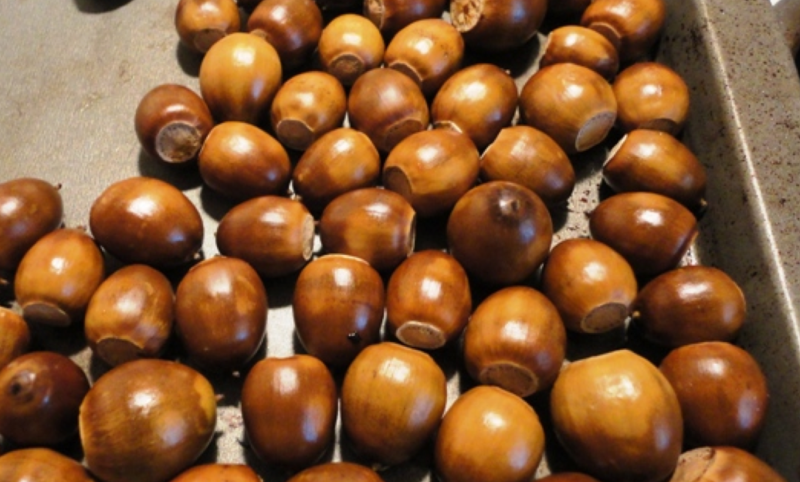 An easier method is to take a bunch of acorns, lay them flat on a hard surface and smash them with a heavy, flat object. Consider placing them on some concrete and smashing them with a cinder block or piece of thick wood. No matter what you use to break them, doing it in bulk will save you a lot of time and energy. 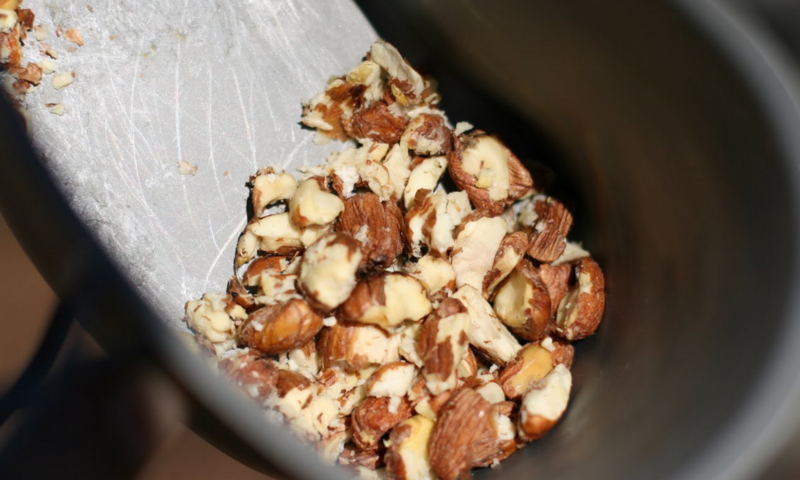 The next step is to remove the meat from the shells and place the nuts in pot or container that is filled with warm water. Allow them to soak for at least three hours. 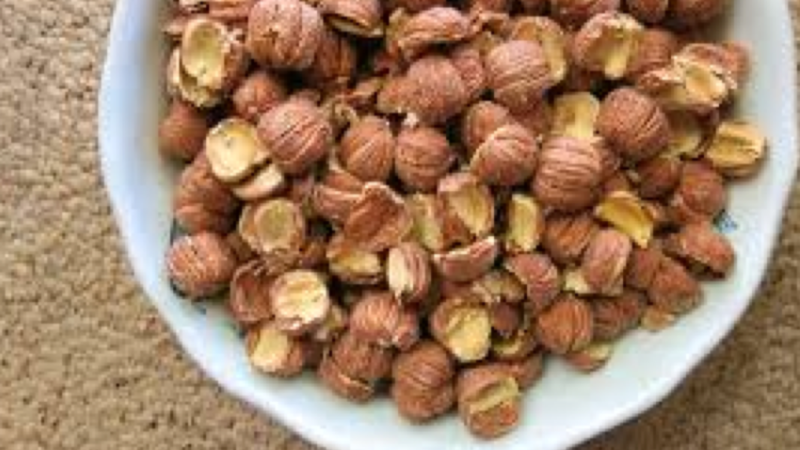 This will remove the oils and other elements of the nut that leave a bitter taste and can cause digestive problems. After a few hours, remove a nut and eat. If it is still bitter, dump the water and start again. Repeat the process until the bitterness is gone. Now you are ready to prepare the nuts according to your preferences. You can eat them raw, or you can use the following ideas to give you a sense of the options that are available. 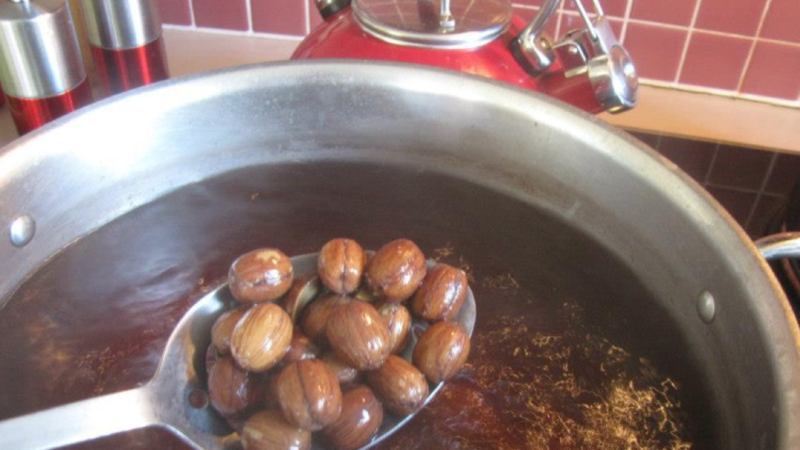 The easiest way to cook acorns is to roast them in a manner similar to how you roast other nuts or seeds. Simply lay them flat on a baking sheet, add some salt or other seasoning if desired and place in a 375 degree oven for about 15-20 minutes. 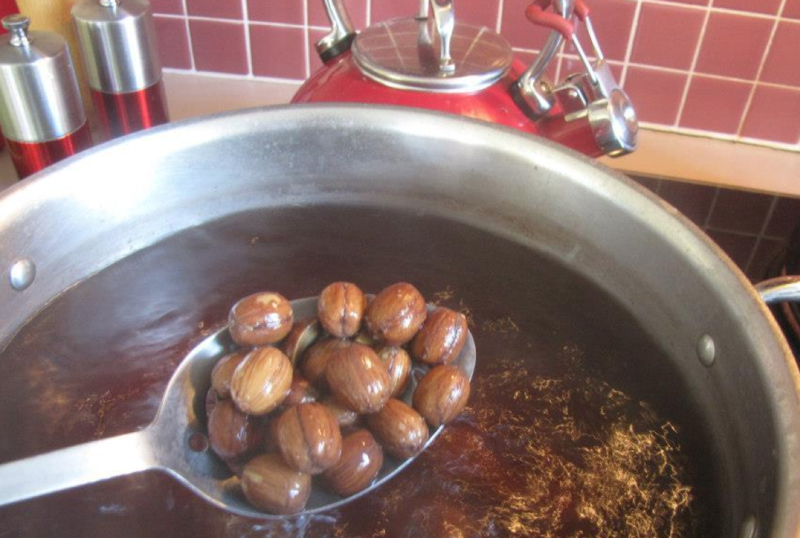 They will be done once they dry out, turn brown and develop a “nutty” aroma. Let cool and eat like you would peanuts. You can also roast them on a campfire by placing them on a pan or grate as well. Just make sure to periodically shake them so they cook evenly. You can roast acorn beans and create a tasty and nutritious tea or coffee alternative in a few easy steps. First, roast them on a baking sheet in a 400 degree oven for about a half hour. You may need to adjust the cooking time based on the amount of moisture that is present in the nuts. You want to remove the acorns once they are dark in color and have a distinctive cooked, nutty aroma, but right before they start to burn. Remove from the oven and allow to cool before storing. 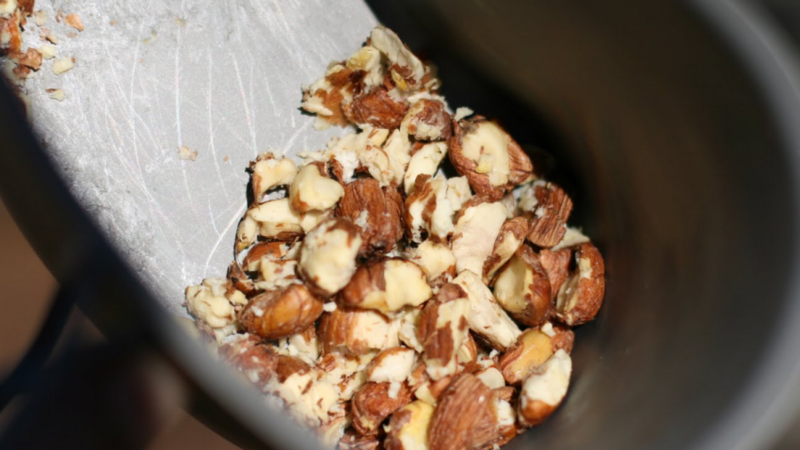 When you want to make your drink, plop a few nuts into some hot water and allow it to steep. Add cream or sugar if you like and enjoy. You can also use acorns as a substitute for nuts in cookies, bread or even peanut brittle. Simply chop the acorns into smaller pieces and incorporate them into your favorite recipes. Remember that the trick with acorns is to remove the bitter taste and elements that can cause nausea and digestive problems for some people. 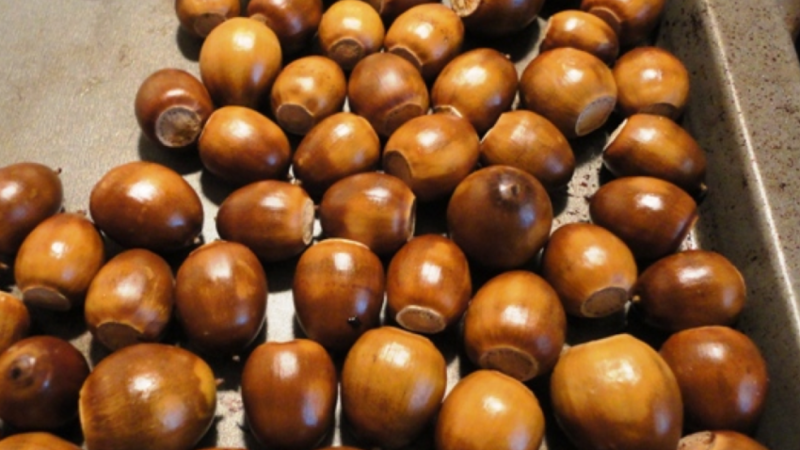 As long as they are properly processed, acorns can provide an excellent source of healthy fats and carbohydrates in addition to providing a small amount of iron and calcium. 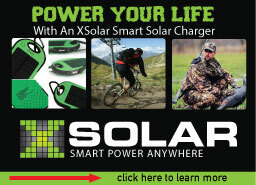 Try them for yourself and see how they can make a fantastic addition to your survival diet.